You've got a powerful weapon in your pocket. 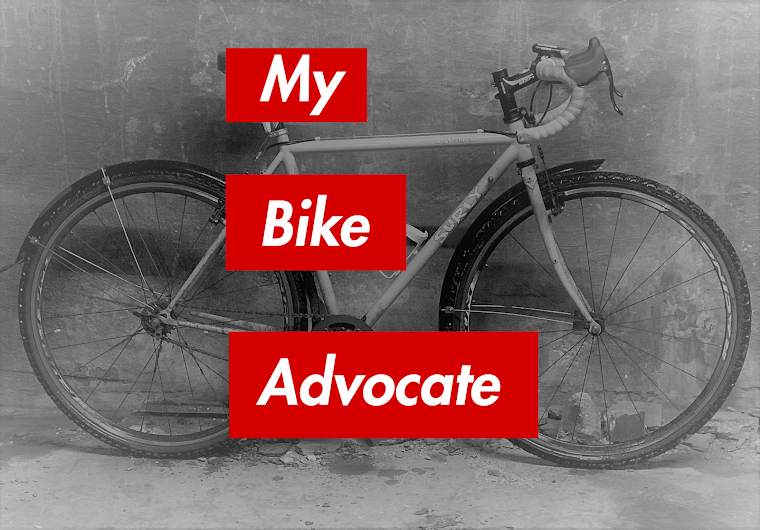 Use it to help make the streets safer for bicyclists. I'm talking about your mobile phone camera or video recorder. If some jerk cuts you off or is parked in a bike lane, take a picture of the driver's license plate (provided that you can do so safely). There are a couple of things you can do with the photo or video afterwards. You can ride over to the nearest police station and fill out a report providing a detailed description of the offending vehicle based on your photo. However, there are two problems with this approach as I see it. First, it's not clear that the police would actually issue a ticket to the driver, though they probably should. Secondly, it's a huge hassle to take the time out of your day to go do this. So what then. . .
You could post the photo or video online. There is at least one website that invites people to upload photos of vehicles behaving badly, mybikelane.com. On this simple, straightforward site cyclists can upload photos of vehicles operating illegally in bicycle only lanes. The idea is that the media and city officials will see the photos and either issue a ticket or at least be made more aware of the problem. Mybikelane.com catalogs offenders by city. It is a great idea, but does not go far enough in my opinion. Bikers should be able to post photos and video of vehicles engaged in all kinds of illegal behavior dangerous to bicyclists, not just bike lane violations. You should be able to upload your photos directly from your mobile phone also, rather than from your computer. A mobile version of mybikelane.com would be very helpful so that the violator's photo can be uploaded right from the scene. Also, the website needs to make more noise. According to the site itself, here in Chicago only 105 posts have been made, with none since June 11, 2009. There are only 52 Chicago members of the site. It seems unlikely that this site is getting anyone's attention in Chicago, which is a shame. What I would like to see is a web based system like that recently developed by the NAACP for the reporting of police and civil rights abuses. Its system allows immediate uploading of photos and video of racial incidents. Powerful stuff. We need a similar system that can be used by bicyclists. Mybikelane.com is a great start. Let's take it further. I do not own a bicycle, but own a motorcycle. No way to really whip out a cellphone and take pictures...now when I'm in a car, I don't have e memory card big enough to capture all the traffic violations by bicyclists. I've missed hitting about 6 of them head on in the past 2 years. Bicyclists certainly have a duty to follow the law. I'm glad you missed. . .